20.05 Stock Clearance: Machines etc. 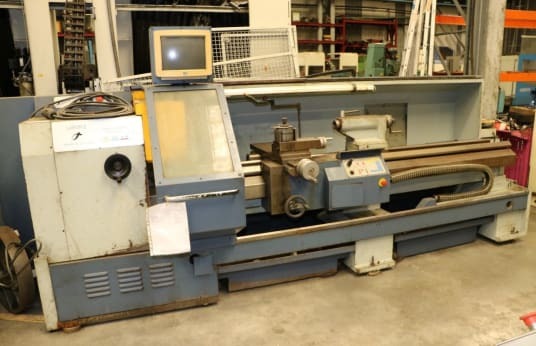 Numerically controlled lathe, Distance between points 750mm, Maximum diameter to be machined: 300mm - Spindle bore: 70mm - Longitudinal travel of the carriage: 270mm - Number of axes: 2 - Spindle speed: 50 to 3000 rpm - Feed speed - Z axis: 6m/min - Transverse slide travel: 610mm - Rapid feeds X and Z axis: m/min - Feed speed - X axis: 6m/min - Counterpoise travel: MT n°4mm - Numerical control: NUM 750 B, Stock number 91236. ATTENTION: Machine loaded by overhead crane.